The expansion of the Cape Town International Convention Centre (CTICC) has been underway for more than two years now and according to CTICC management, the centre will be operational from mid-2017. 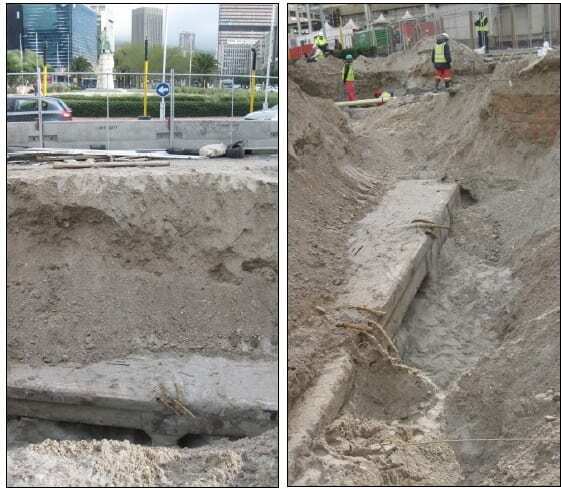 However, construction was recently brought to a halt when contractors discovered remains of the old Cape Town harbour. Back in the early 1900’s, gold and diamonds had just been discovered in South Africa. This discovery brought with it an era of increased trade, immigration, development and expansion. 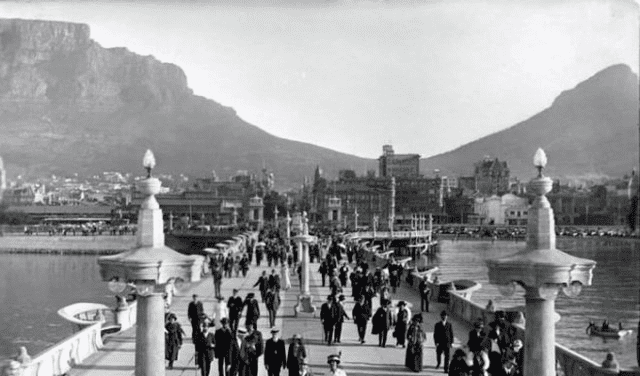 This expansion included reclamation of land from Table Bay in the 1930’s to 1940’s and the construction of Duncan Dock, which replaced the old Cape Town Harbour (see image below). In 1910, when the harbour was built, the harbour pier included a pavilion where concerts and ballets were occasionally held. When the harbour pier was demolished in 1939, the Foreshore’s boundaries were pushed further out to sea, leaving the original harbour lost in history… until now. “We appointed heritage and archaeological specialists to identify the structural remains. They have managed to identify that the remains formed part of the base of the endmost section of the old pier which was demolished in the late 1930s during the reclamation of the Foreshore.” Images of the discovery can be seen in the images below. The historical significance of this finding and the homage CTICC is giving it adds a bit of historical flair to their brand new facility and reminds us how far the beautiful Cape Town harbour has developed and grown over the past century.